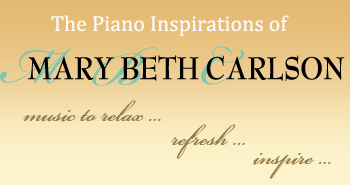 Smile ... Mary Beth's 21st piano orchestral CD, is a sensational variety of best-loved melodies spanning several decades. Themes from movies and Broadway musicals and unforgettable pop classics will leave you with a smile in your heart and an extra spring in your step! Smile is a celebration of music and memories created especially for you, Mary Beth's valued supportive listeners!